This is a World Water Day 2017 program! This community is in serious need of your assistance. 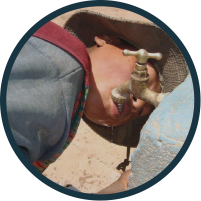 Help us eradicate water poverty by donating now to support Llojlla Grande. Llojlla Grande currently relies on a system of 34 shallow wells spread throughout the community to supply all of its water needs. These wells are very easily contaminated and many have high levels of salt, manganese, and arsenic. In 2015, EWB-SMU completed an assessment trip to Llojlla Grande where team members surveyed the community, tested the 34 shallow wells, and gathered GPS data for all important locations. In early 2017, they traveled to Bolivia for an implementation trip. 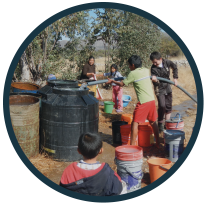 Ongoing support from EIA’s La Paz office and future visits from EWB-SMU will check to ensure the new infrastructure is functioning properly and identify any future program needs.